The mission of the Bakersfield Homeless Center is to provide the support and resources to families and individuals in crisis while helping them to achieve their highest level of self-sufficiency. Bethany Services was founded in 1972 and owns and operates the Bakersfield Homeless Center. In 1991, Bethany transitioned from a soup kitchen to a full-service homeless shelter primarily serving homeless women and families. The Bakersfield Homeless Center has provided year-around emergency shelter, food, clothing and supportive services for more than twenty-six years. During that period, BHC provided more than – 3 million hot meals – 727,226 warm beds – 3,445 jobs – 3,537 housing placements. Out of BHC’s maximum 206 shelter beds, 152 (74%) are designated for families in semi-private units that allow homeless parents to remain sheltered with their children; 40 dormitory beds (19%) are for single women; and 14 (7%) are for single men. Age distribution of clients is 0-62+ years. In FY 2016-17, BHC provided 59,163 bed nights of shelter and 160,362 meals to both sheltered clients as well as members of the community struggling with poverty and hunger. Non-shelter residents make up about 20% of persons fed at BHC. 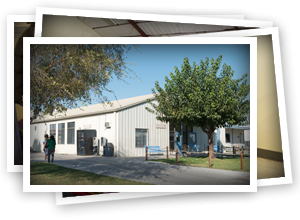 BHC’s 2.5-acre campus is located at 1600 East Truxtun Avenue in Bakersfield.